Delicious personalised Cappuccino Large Pralines. Bulk pralines, 25 per carton. 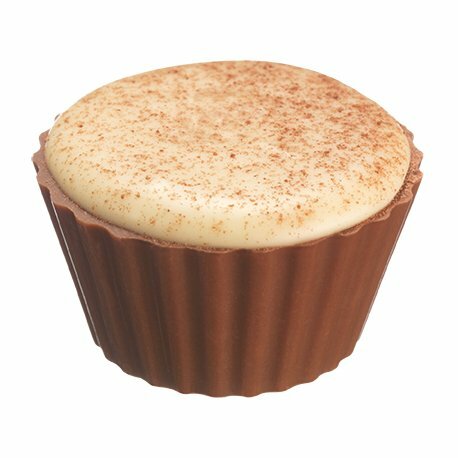 Our Cappuccino Large Pralines are the perfect blend of scrumptious flavours. We have put together a mix of milk chocolate & caramel, and added a finishing touch of cappuccino for a nice kick of coffee. 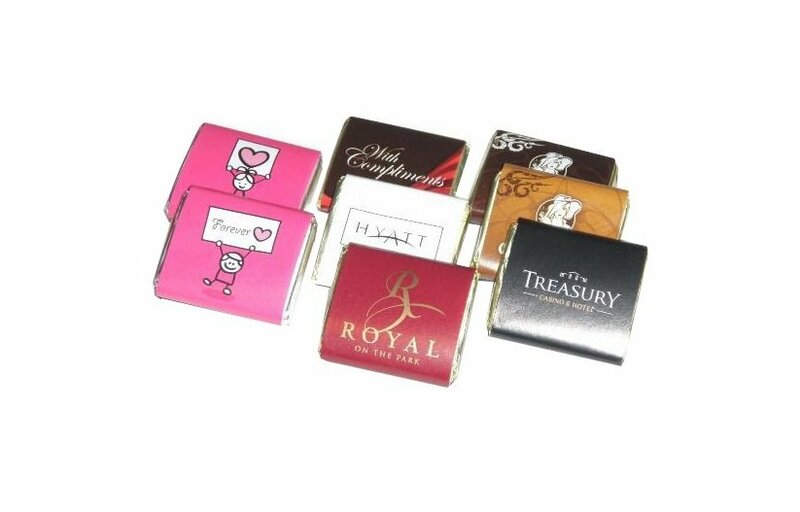 The result is our highly delectable confectionery treat, the personalised Cappuccino Large Pralines. This delicious confectionery is a great marketing tool that you can use for your upcoming promotional campaigns. You can advertise your brand by having your design printed at the packaging. When you take them to trade shows or give them as gifts, you’ll definitely be making a good impression about your company. Just like your favourite coffee drink, the promotional Cappuccino Large Pralines can give a hit of caffeine. This comes in perfectly handy when you need to perk up but you don’t have time to give yourself a hot cup. What’s also cool is the foam-like top we’ve added to make a really convincing cup-of-cappuccino look. When you pop them in your mouth, you’ll immediately be gratified by the rich milk chocolate taste that’s enhanced by the caramel flavour. Before it all goes down to your stomach, the taste of coffee will nicely permeate into every taste bud, giving you a grand closing finale. For other options on our promotional pralines, you may wish to have a look at our branded Banana Caramel Pralines. This confectionery is a chocolate treat with a hint of banana and caramel. Or if you like to have your pralines with a little liqueur hit, the custom Cherry Liqueur Pralines is something worth looking into. 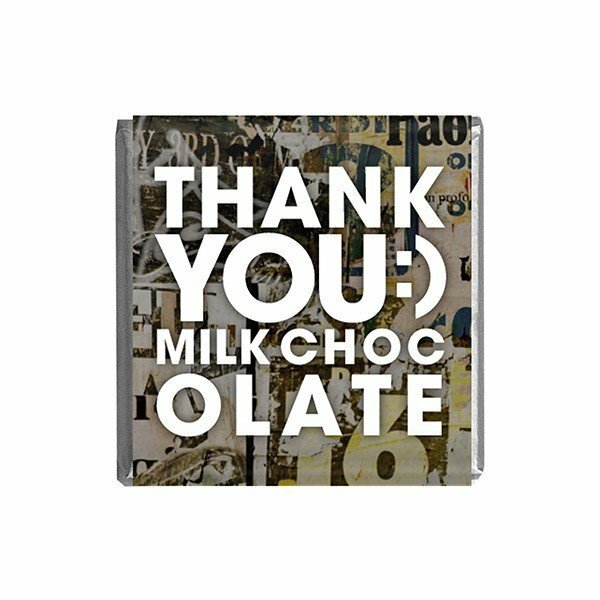 Did you also plan on shopping for other generous gifts to match with you chocolate giveaway branding? If so, we have a super selection of promotional caps over at Fast Caps. We’d love to see you over there once you’ve finished shopping here. One product that when paired with your confectionery will absolutely blow the minds of your customers. It’s very much out there! Do check out the promotional neon aviator hat. Don’t say we didn’t warn you! If you’d like to know more about our line of pralines and how you can use them for your promotion, give us a call via our hotline: 1300 008 300. You may also ask your questions through our live chat app on this website. We have our customer service representatives on standby to help you out.